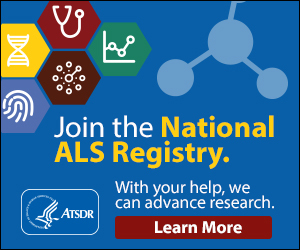 The role of the nutritionist/dietitian is to develop an individual program to provide adequate nutrients to maintain weight and prevent weight loss that may occur during the course of ALS. The dietitian will determine how many calories, grams of protein, and fluids should be consumed each day. In addition, the dietitian can provide input on food consistency, supplementation, and tube feeding formulas. The role of the speech-language pathologist is to assess speech and communication skills, implement strategies to enhance communication, and assure that persons with ALS can express their feelings, thoughts, and needs. Instruction in the use of compensatory strategies (such as slowing the rate of speech, separating the syllables, and over-enunciating the speech sounds) can be helpful. These strategies can also be augmented by communication devices such as magic writing slates, alphabet boards, picture boards, eye scanning boards, electronic devices with voice output, and even high-tech computerized devices. Our speech-language pathologists will also conduct swallowing evaluations and offer safe swallowing strategies and suggestions. The role of the social worker is to assess the impact of recent physical, emotional, and financial changes in persons with ALS and the family unit and how the patient and family are coping. Current and future needs are addressed and suggestions for community resources are provided. The role of the respiratory therapist is to obtain measurements of respiratory function and instruct the ALS patient and family in the use of therapeutic measures such as breathing exercises and assistive coughing and in the use of equipment such as a breathing tube. The role of the physical therapist is to assist the patient in the areas of exercise, equipment, and safety. This includes patient and caregiver instruction in stretching and range of motion exercises to help maintain flexibility and reduce cramping. The physical therapist may also recommend devices and equipment such as an ankle-foot-orthosis, a cane, a wheelchair, or a neck brace to help in maintaining mobility and independence. Instruction in proper methods for moving, transferring, and lifting patients and recommendations for safety equipment including aids for transfers, lifts, grab bars and shower chairs are also provided. The goal is to promote the highest level of possible function, for as long as possible while avoiding fatigue. The role of the occupational therapist is to provide persons with ALS options, resources, and information for maintaining independence in activities of daily living. The occupational therapist assesses the patient’s functional abilities (range of motion, muscle strength, daily activity levels, and mobility) and performance in activity areas such as dressing, feeding, hygiene, and in the work environment. Adaptive devices such as rocker knives, button hooks, handwriting aids, book holders, zipper pulls, key holders, reachers and grab bars may be recommended to assist weakened muscles, reduce fatigue, promote safety, and enhance life quality.